Panel, Film: Is the general strike returning? Is the general strike, a worker weapon that struck fear into corporate chieftains and their political cronies a century ago, making a comeback? 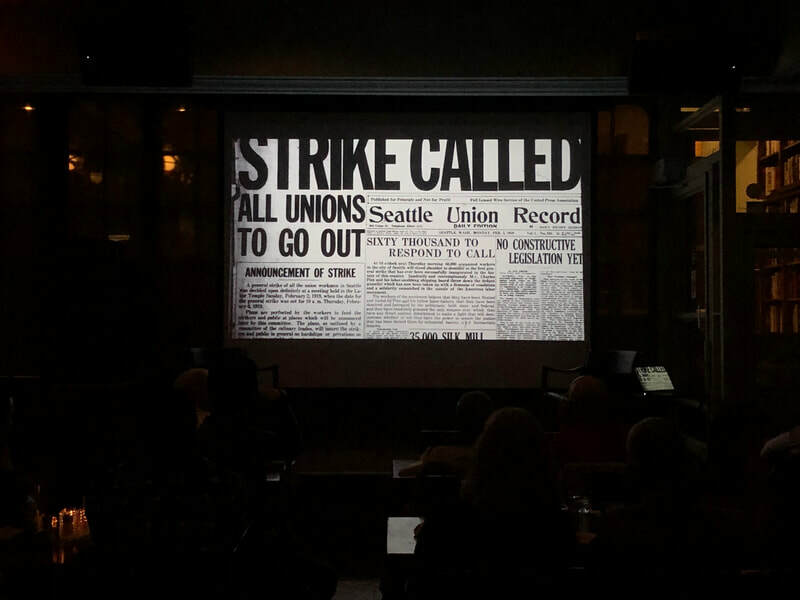 A new film, commemorating the centennial of the Great Seattle General Strike of 1919, plus a panel of experts in worker history and rights, tackled that question Feb. 6 at a screening and discussion sponsored by the Metro Washington AFL-CIO's DC LaborFest. The answer: Yes, but in a different way than it was practiced in the decades before Seattle. And on a different scale. 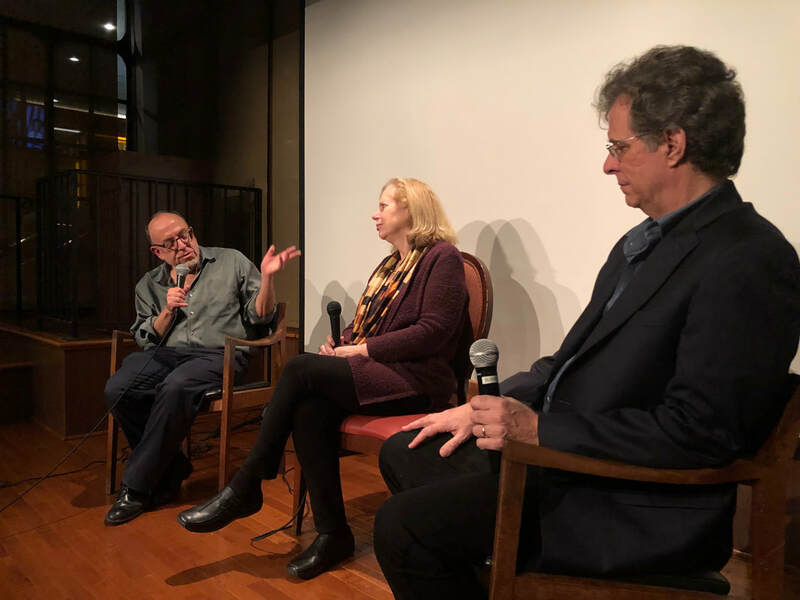 The Pacific Northwest Labor Heritage Foundation, with both financial and archival aid from Oregon and Washington state labor historians and unions, produced the film, "Labor Wars of the Northwest,“ which traces the area’s militant labor history. The apex of the movement was the 6-day general strike which shut down Seattle in 1919. After 3,500 shipyard workers walked off the job, more than 110 other union locals joined, and 65,000 workers, from carpenters to lumberjacks to railroad workers to female household workers, walked out. Since then, general strikes have been infrequent: the Twin Cities and San Francisco in 1934, Rochester, N.Y., in 1946, the Steelworkers in 1959 and the nation’s postal workers in 1970. 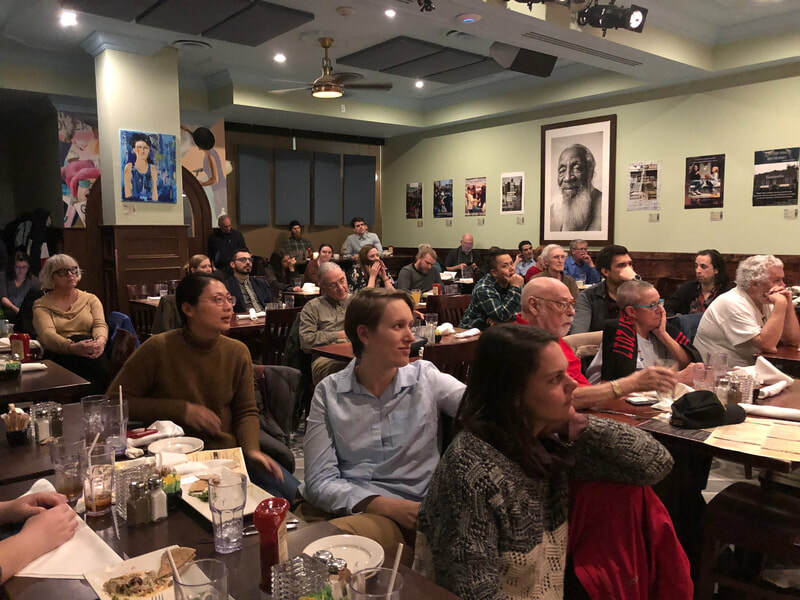 ​But the panel, of labor historian Joe McCartin, University of Maryland professor Julie Greene and Meyerson, said the tide may be turning again. One reason, Meyerson pointed out, is that support for workers’ rights and unions is at an all-time high, public opinion polls show, at 62 percent favorability. It’s even higher among younger and millennial workers. The three cited the 2012 Chicago teachers strike, the statewide teachers’ strikes last year in Kentucky, Oklahoma, Arizona and, most importantly, West Virginia, the recent and successful Los Angeles teachers strike and the 1-day strikes staged by the Fight for 15 and a union movement of fast-food, retail, warehouse and other underpaid, exploited workers. All those strikes, especially the West Virginia one, which shut down every public school in the state, had several elements in common, the panelists noted. Rank and file fed-up workers started them, with union leaders often scrambling to catch up. McCartin noted that workers forced to strike now lay the groundwork for wide community support by emphasizing the community-oriented goals. That’s why teachers drew enormous, and virtually unanimous, backing even in deep-red West Virginia and Kentucky, and why 50,000 people marched through the streets of downtown Los Angeles. “The level of public support was 80 percent for the L.A. teachers,” said Meyerson, an Angeleno himself. “And the biggest strikes of the past year” – all by the teachers – “have been against public authorities and for bargaining for the common good,” with wages and benefits as secondary aims. That tied into McCartin’s long contention that bargaining for the public good is the way workers can and do win widespread community support and success. Fight for 15, he noted, is a “public good” – a decent living wage. The teachers emphasized crumbling schools and outdated textbooks and, in L.A., an old funding formula which shortchanges public schools. The Chicago teachers wanted to protect their community schools from Mayor Rahm Emanuel’s plans to close dozens of them and run the school district like a business. The response is to lay the groundwork for general strikes by making sure, in advance, that the public knows they’re in the public interest. That’s what the federal workers did during GOP President Donald Trump’s just-beaten 35-day lockout/shutdown of many agencies. “By the end of 35 days, the public had had it” with Trump, McCartin said. CLICK HERE for the complete series line-up. Films Across Borders: Stories of Women, a multi-cultural film series, showcases an eclectic selection of cinematic works by and about women. Now more than ever, the importance of gender-balanced perspectives and parity in representation is clear. Stories of Women gives voice to vital and diverse female viewpoints through dramatic features, documentaries and shorts. Screenings, panels and audience Q&As will explore key issues around the female gaze, women in film, and the ways in which women, fighting for equality on screen and behind the camera, raise awareness about key social issues, inspire action and pave the way for stories of other underrepresented populations to be brought to the fore. Highlighting international stories of, by and about women as portrayed through dramatic features, documentaries and shorts. Through panel events and post-screening discussions, experts will engage with the audience to answer questions and further explore issues related to gender and representation. Films Across Borders: Stories of Women is co-presented by AFI Silver Theatre and Cultural Center; American University; the Austrian Cultural Forum; the Cultural Services of the French Embassy; the Goethe-Institut Washington; Immigration Film Fest; DC LaborFest; the Mexican Cultural Institute; the National Gallery of Art; the National Museum of Women in the Arts; SPAIN arts & culture; the Embassy of Sweden; Vital Voices and Women in Film and Video Washington D.C.